Minnesota Vikings Quarterback Case Keenum will always be known as the guy who passed the football to Wide Receiver Stefon Diggs to pull off the stunning Minnesota Miracle last-second victory over the New Orleans Saints in the NFL playoffs on January 14. Case Keenum also symbolizes the future of virtual reality (VR) as a training tool to improve performance. During the 2017-18 NFL season, Keenum stepped up his game dramatically en route to leading the Vikings to a 13-3 record. As reported in ESPN, he used a VR tool developed by training company STRIVR to improve. 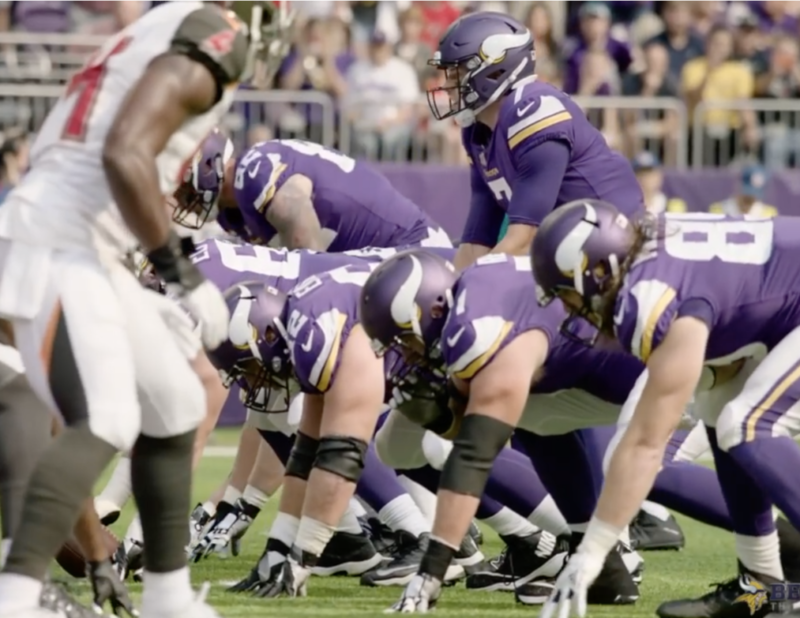 The Vikings are among six NFL teams that use VR to help players sharpen their mental abilities as they react to the many moving parts that affect the outcome of a single play. Keenum has practiced thousands of plays with VR throughout the course of the season – just as professionals in other industries, including doctors, van drivers, and retailers, use VR to train themselves. Although VR has been around for years, the technology has yet to catch on among consumers. The cost of the equipment required, lack of available content, and clunky user interface remain impediments. But the enterprise sector is a different story. VR, which immerses the user in a different world through the use of special headsets, is an ideal tool to train people for complex, high-risk situations that leave little margin for error. Football is a case in point. No technology, including VR, is a substitute for the live experience of a quarterback taking a snap and suddenly encountering a blitzing linebacker crashing through the line. But training players with other players in a live setting exclusively reduces the number of opportunities for a quarterback to learn and increases the chance of an injury occurring (as happened to Patriots Quarterback Tom Brady January 17). VR doesn’t have to replicate the experience perfectly. VR just needs to mirror the situation realistically enough to sharpen a brain’s reaction time through repeated immersion. The key is exposing the brain repeatedly to a realistic combination of sights and sounds, according to a white paper written by STRIVR Chief Science Officer Michael Casale, 4 Reasons You Need to Start Using for Virtual Reality Training. According to Casale, full immersion strengthens the connections between the parts of the brain that process sensory information and the parts of the brain responsible for cognitive processes (e.g., decision making). So instead of using computer simulation, STRIVR’s VR experience uses 360-degree film footage of actual plays. Doing so simulates a play at full speed while reducing the risk of a quarterback getting injured as he practices the play repeatedly. VR also makes it possible to practice anytime, anywhere. By repeatedly immersing a quarterback in an on-the-field situation, such as responding to a blitz, VR can make the brain more familiar with the experience and thus shave split seconds off reaction times. And in football, a game of speed, a split-second edge can win a game or help a quarterback avoid a season-ending injury. Keenum has experienced more than 2,600 plays through virtual reality throughout the season, giving him the chance to sharpen his mental reaction. His statistics show that he’s performed especially well against blitzes. VR is so effective in conditioning the brain that physicians use VR to help patients endure painful physical therapy such as burn treatment. Patients at the University of Washington Harborview Burn Center report experiencing 50 percent less pain than patients using other means to distract themselves (e.g., music) during burn wound care. That’s because virtual reality rewires the brain by transporting the user to another world through the power of 3D video and spatial sound. Training for working in dangerous environments. Where it’s expensive to conduct training. Training for rare or hard-to-replicate settings. For example, as reported in The Wall Street Journal, JLG Industries (part of Oshkosh Corp.) uses virtual reality to more efficiently and safely train boom lift operators, who need to learn how to operate vehicles from platforms that extend as much as 185 feet off the ground. The JLG virtual reality simulator makes it possible for multiple trainees around the world to learn how to operate virtual machines in the same 3-D construction site, and no one needs to leave the ground. As Rick Smith of JLG global product training told The Wall Street Journal, “Hands down, it’s much safer than a real machine.” In this example, workers reduce the chance of an accident occurring during training especially when they are just starting out and are less familiar with operating the equipment. In the medical field, physicians are using virtual reality to learn how to conduct complex surgical procedures. Physicians at a number of hospitals are using virtual reality 3-D modeling of the brain (developed by Surgical Theater) to learn how to reduce the time it takes to repair aneurysms. Here again, the repeated exposure to a procedure in an immersive, realistic environment – in this case, surgery — conditions the brain faster than 2-D computer simulation would. Meanwhile, according to the University of California San Francisco, medical students are using VR to learn about human anatomy — traditionally a grueling process and a “dreaded memorization ordeal.” By giving students a 3-D picture of how parts of the body work together, VR promises to “enhance the students’ understanding of the arrangement of the body,” according to Assistant Professor of Anatomy Derek Harmon. In addition, Professor of Physical Therapy and Anatomy Kimberly Topp says that VR can help students learn how to manage decisions that must be made quickly under stress, such as treating a trauma victim. A virtual patient allows students to become more accustomed to the experience of treating a trauma and make rapid decisions clearly and calmly. As I’ve noted on my blog, Walmart is using virtual reality to help new employees learn what it’s like to work in a Walmart store. Employees use virtual reality to sharpen their ability to notice subtle lapses in quality that only a trained eye and ear would notice, such as a price missing on a product. Virtual reality also trains employees for special situations such as the onslaught of customers that occurs (not unlike a football blitz) on Black Friday. By getting immersed into the noise and mass of humanity that is Black Friday before the actual day arrives, workers are better prepared. And with virtual reality, they can train anytime, anywhere. Walmart is expanding the use of virtual reality in all 200 of its training centers. VR is not the only immersive reality technology that improves training. Augmented reality – in which virtual objects are overlaid on to the physical world – does as well. As these examples demonstrate, AR is especially valuable for situations where it’s more desirable to test the interplay between people and physical objects. For instance, NASA uses AR to help astronauts explore the terrain of Mars by projecting the Martian surface on to physical environments. The simulation is helping NASA research the possibility of astronauts traveling to Mars by the 2030s. Experiential learning: use VR to learn wherever you are. Data: VR reveals performance data that managers can use to assess people. On-demand: training is available 24/7. According to research firm Greenlight Insights, revenues generated from VR’s uses in corporations accounted for 1.3 percent of an estimated $7.2 billion earned globally in the VR industry in 2017. (The lion’s share, 65 percent, came from headset sales.) Greenlight estimates that by 2021, revenues generated from corporate applications will account for 24.2 percent of $75 billion spent on VR. In the case of training, the measurable quality of the outcome – reducing the risk of accidents, cutting costs, and improving performance – are as important as the quantity of the spend. Just as Case Keenum and the Minnesota Vikings. VR helped the team pull off a miracle. This entry was posted in Virtual Reality and tagged Case Keenum, David Deal, Derek Belch, JLG Industries, Minnesota Miracle, Minnesota Vikings, STRIVR, Superhype, training, UPS, virtual reality, VR, Walmart. Bookmark the permalink. Probably the best usage of VR, helping NFL players, not sure but i guess that there will be few companies who will have virtual driving learning apps as well to train noobs with driving.